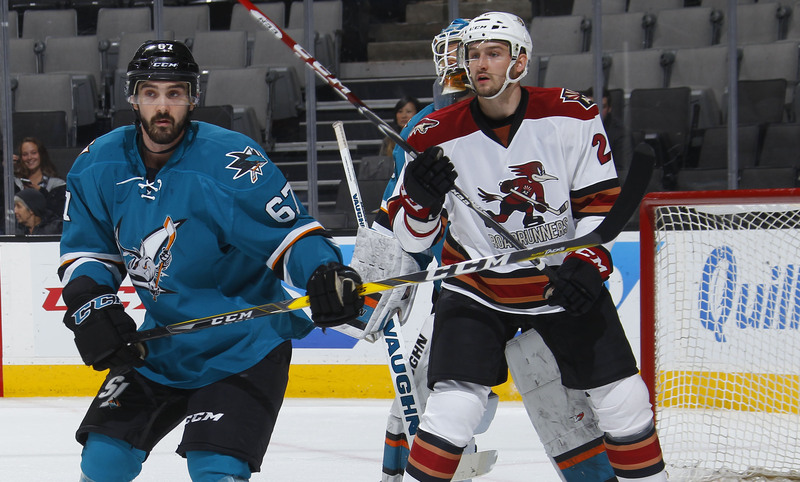 The Roadrunners found themselves facing an early, steep deficit; one they could just not recover from in their 5-2 loss to the San Jose Barracuda Saturday afternoon at SAP Center. Tucson has now lost four consecutive games; it is their longest such streak of the season. Goaltender Justin Peters, making his seventh start of the season, surrendered three goals on five shots faced through the opening nine minutes of regulation, getting pulled from the game as Tucson played the remainder of the contest on their heels as they attempted to claw away at the early-staged adversity. Adin Hill played solid in relief of Peters, but the Barracuda tacked on their fourth goal of the day with 3:30 left in the middle frame to take a commanding 4-0 lead into the third period. The Roadrunners finally got on the board just over five minutes into the third when Stefan Fournier stuffed home his first goal of the season, receiving a pass from Trevor Cheek and beating Mantas Armalis with a shifty move to his forehand. With just over nine minutes to play in regulation, Lindsay Sparks drove wide to the San Jose’s net, got inside positioning as he skated toward the crease, and beat Armalis to get Tucson to within two goals. For Sparks, it was the first goal of his American Hockey League career. Tucson generated some late chances thereafter, but were unable to inch any closer to a lead the Barracuda held throughout the afternoon. San Jose added an empty-net goal with 1:19 left to play. Both of the Roadrunners’ goals came via the team’s fourth-line, and both were season-firsts for the respective players. Stefan Fournier (1G, 1A) led all Roadrunners players in points scored (2), Michael Bunting in shots registered (6). Justin Peters (2) and Adin Hill (28) combined to make 30 saves in the loss. 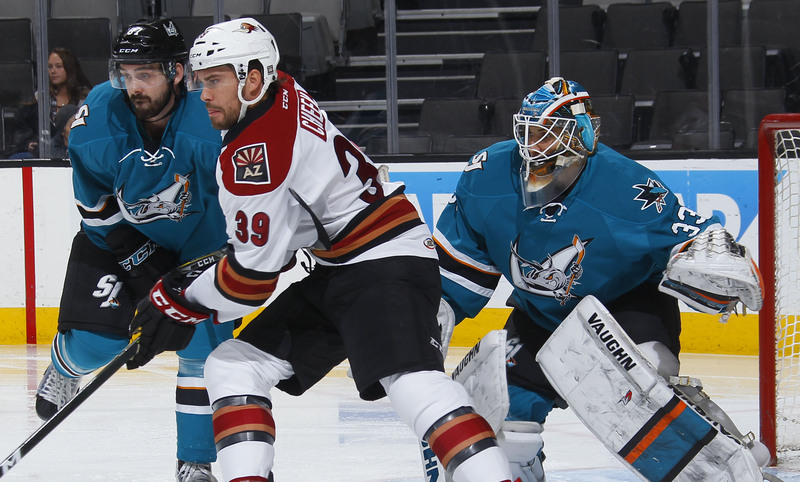 The Roadrunners will now return home to begin a five-game home stand, which kicks off Tuesday night when they host the Manitoba Moose at Tucson Arena. The puck is scheduled to drop just after 7:05 PM MST.